I would like to inform you that I cleared the truc.. 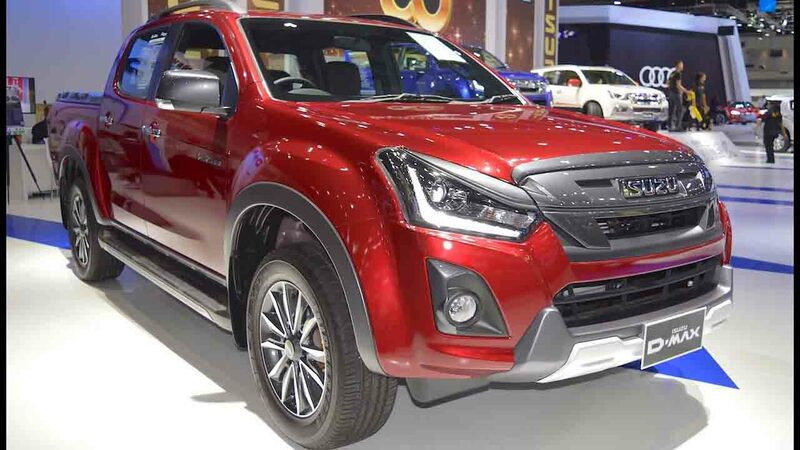 I would like to take this opportunity to inform yo..
Isuzu D-Max is a superb and stylish robust compact right-hand pickup truck built for an easy and efficient cargo delivery from one place to another. It provides a stiff industry competition with Toyota Hilux, Nissan Navara, Ford Ranger, and the Mitsubishi Triton. This trendy and sporty urban pickup truck is perfectly ideal for all kinds of outdoor adventure activities for the family and friends. The sturdy and solid redefined rugged exterior leaves an aggressive and prestigious noticeable impression on customers with a true sense of durability, reliability, and affordability for an instant purchase decision. The tough and masculine exterior design consists of bigger oval shaped front crystal LED projector Headlights, V-shaped front metallic grille, indicator lights, and front fog lights. The lower grille, front bumper, alloy wheel rims, and power side-view door mirror provide a tremendously sleek and refined look. The posterior side also provides an attractive catchy display combining with colorful taillights, rear black bumper, and a rear flat cargo bed. The interior design is built with choices of 2-door single and 4-door double spacious cabin varieties. The seating is highly comfortable and provides a good amount of open legroom space for customers. The front dashboard is also equipped with all kinds of features like power steering, air-conditioning, anti-lock braking system, central locking, power windows, and dual front, side, and curtain safety airbags. Some of the other extra –added inside features include touch sensor passive entry, push engine start and stop system, 8-speaker surround sound audio system, Bluetooth, and the multi-information instrument panel display. The added safety features are electronic brake-force distribution, brake assist, pretension seat belts, front end side impact anti-intrusion bars, and electronic stability control features. This fuel-efficient pickup truck is offered with 2.5 liters of diesel fuel engine powered by both manual and automatic speed gear transmission. The grade price packages include crew cab 4wd LS, crew cab 2wd standard, extended cab 4wd LS, regular cab 4wd standard, and the regular cab 2wd standard. Car Junction offers Used Isuzu D-Max for Sale at reasonable discounted prices for customers. We also export brand new Japanese commercial vehicles in Africa, Asia, Oceania, and the Caribbean countries of the world.